« Reebok Classics Let’s The Ventilator Glo! At the 2015 New York Auto Show this week Lexus showcased the 2016 version of their best-selling model in the brand’s 26-year history. 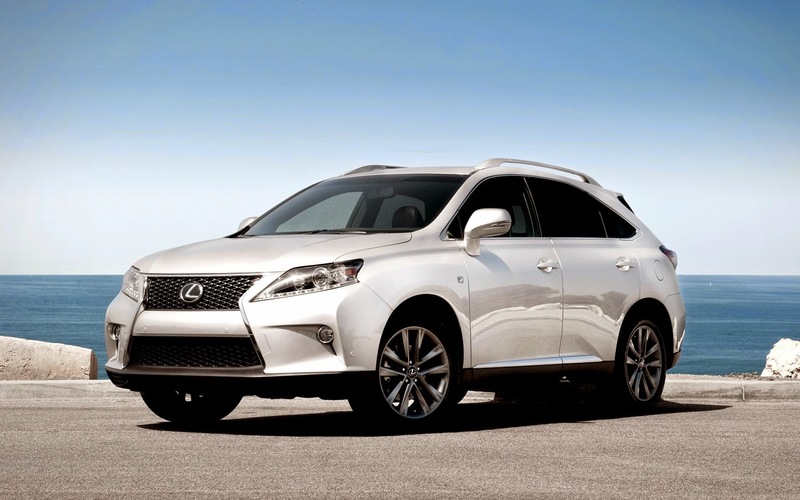 So far Lexus has sold more than 2.1 million units over the world. So in essence the RX represents three out of ten vehicles ever sold by Lexus. The 2016 RX builds on that trend with a completely new, luxurious interior to match its fresh, new, chiseled body style. The large dose of Lexus brand DNA that’s been artfully incorporated into the details can not only be seen, but also felt. The new fourth-generation RX also boasts exceptional on-road performance and safety technologies that include the innovative Lexus Safety System+. “With the new Lexus Safety System+, we offer drivers an added level of occupant safety in a conveniently bundled package that leverages some of the latest accident prevention technology. We certainly expect the proliferation of these features to continue throughout the luxury vehicle market and our Lexus lineup as the industry remains steadfast in the pursuit of enhanced vehicle safety,” said Jeff Bracken, Group Vice President and General Manager Lexus Division. Inside, RX’s new luxurious cabin with elegant, high-quality trim exudes warmth and class. An available color heads-up display (HUD) projects pertinent vehicle information to the driver’s windshield, while the information display area, featuring an available 12.3-in. monitor with full-screen map, is situated atop the center stack. The shift lever, complete with leather boot, has been positioned away from the front of the instrument panel to optimize operability and create more space for the driver. Looking under the RX 350’s hood is an upgraded and more powerful 3.5-liter V6 aiming to deliver 300 hp with direct injection, mated to a new eight-speed automatic transmission. Based on this enhanced powertrain is the RX 450h’s Atkinson-cycle 3.5-liter V6. When combined with the electric motor generator, the combined output results in around 300 hp. All RX engines have been tuned in anticipation of high fuel economy ratings and low carbon emissions. Print article This entry was posted by Art Eddy III on April 1, 2015 at 12:39 pm, and is filed under Cars. Follow any responses to this post through RSS 2.0. Both comments and pings are currently closed.